I recently published a Sitecore Marketplace module PDF Thumbnail Creater Handler. 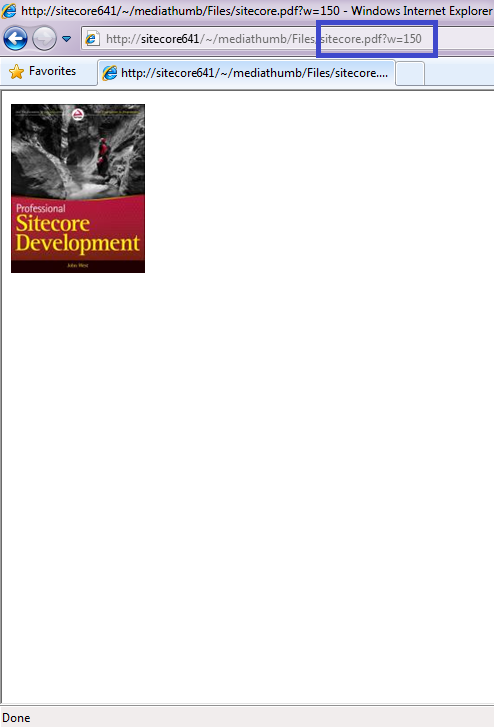 Basically it allows to generate thumbnail on-the-fly (dynamically) for the uploaded PDF in sitecore by passing width and/or height. This will allow user to request thumbnail for any height or width and the thumbnail will be stored as a media cache in Sitecore. 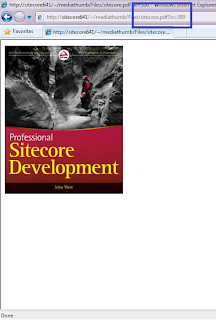 Suppose user uploaded PDF in Sitecore. User want to generate thumbnails of the fist page of uploaded PDF. User can choose height and/or width of thumbnails without any configurations. If user replaces a new file instead of that PDF, it should serve thumbnail of newly uploaded PDF. Similarly the thumbnail URL should work if user moves/copies/deletes the PDF item. 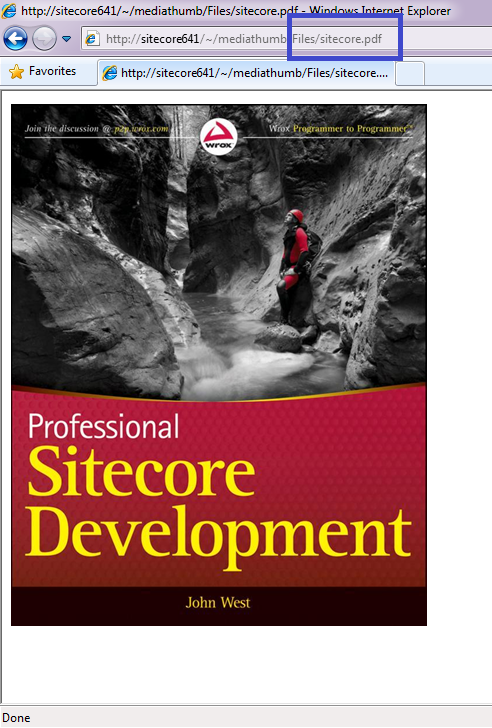 I just thought to achieve this overriding Sitecore MediaRequestHandler. 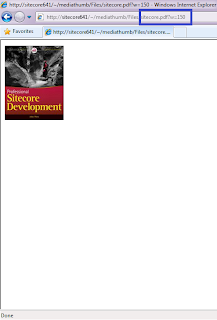 Sitecore allows to generate different sized thumbnails of uploaded image files, See how. Why should not I use the same concept to generate thumbnails from PDF? Only concern I looked was to convert PDF to JPG only, but was not that much easy. PDF to JPG conversion can be done using GhostScript (With GPL License, which is free), which is very efficient and gives flexibility with many other options. 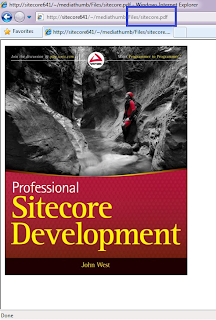 You can read my older post regarding Sitecore Custom HTTP Handler, I have described there in detail. Handler's source code to process thumbnail and use media cache as below. 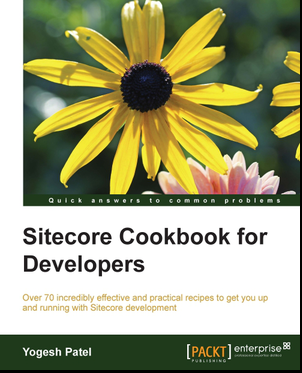 You can get full source code (of older version) of this module from Sitecore Marketplace. Repeated thumbnails will be served from media cache. Conversion is fast using GhostScript and media cache adds more power. One major benefit of this module is, even when you attach or upload a new PDF file in same media item, it will generate thumbnail of latest PDF. So no worries on renaming, updating, moving the PDF media item. I tried same code but i got error like "Permission to the requested document was denied". Have you any idea why it not generate thumbnail? If still you have any doubt, please reach me through email, will be happy to help you. I have got issue like "Permission to the requested document was denied". When I deleted all media catch under APP_DATA folder and I have reset IIS then all thumbnails rendered perfectly. can you provide me proper solution of above issue?. Hi Pravin, I have not come across the 403 issue, will try to reproduce it. But there was a bug in this module is - thumbnail generation after overwriting the media item. It's fixed now, and you can download it from above updated code. If this does not fix this issue, please email me with more details, will surely look into it. Thank you for reading and updating raising issue.